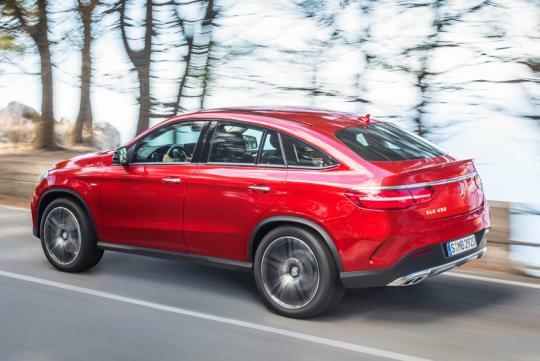 Years after the polarizing BMW X6 originally hit the market, Mercedes-Benz has finally unveiled its competitor, and much like Munich's Sport Activity Vehicle, the new GLE Coupe will split opinions rather dramatically. 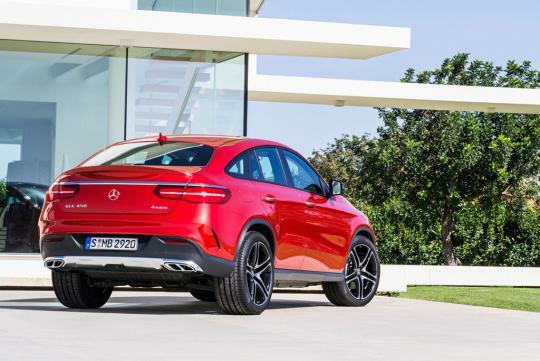 While it clearly shares its form factor with BMW's X4 and X6, the GLE Coupe's styling is all Mercedes, borrowing the more organic shapes used on the company's most recent new model, the AMG GT. 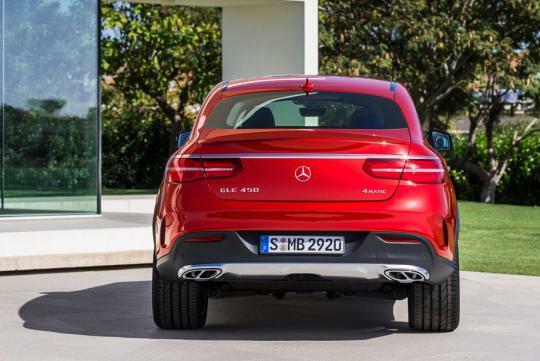 Strips of chrome and the iconic silver arrow logo bisect a large, rectangular grille, while the fascia on the GLE 450 shown above features three rather dramatic lower air intakes. The headlights, meanwhile, fit in with MB's latest styling language. In back, slim, wraparound taillights share some resemblance with the new S-Class Coupe. The cabin is recognizable and looks to be of extremely high quality, with the featured vehicle showing off quite a lot of carbon-fiber trim. A thick-rimmed, flat-bottomed steering wheel dominates the driver's area, while a large, tablet-like display crowns the center stack. The same sort of touch-controlled interface and input dial found on the new C-Class controls the information on that screen. 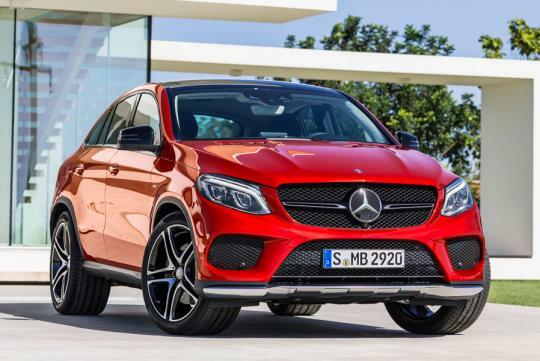 Under the chiseled hood of the GLE 450 AMG, the first of Mercedes' AMG Sport models, sits a 3.0-liter, twin-turbocharged V6. Unlike the 329-horsepower unit in the C400 and E400, the force-induced V6 generates 362 hp and an equally robust 384 pound-feet of torque. It's mated up to a new nine-speed automatic transmission and Mercedes' 4Matic all-wheel-drive system. A new version of the popular Airmatic suspension is being offered with the ADS Plus continuously variable dampers while Mercedes is also fitting its Active Curve System, complete with active roll stabilization. 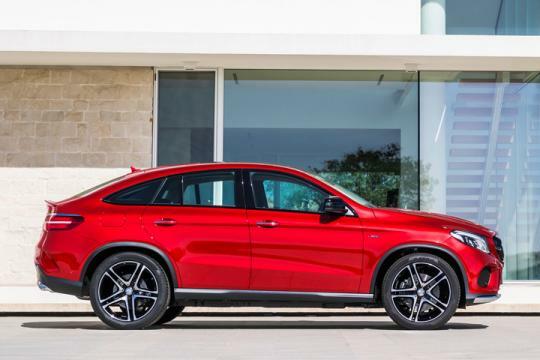 Mercedes doesn't provide many additional details on the GLE Coupe range, as it were. 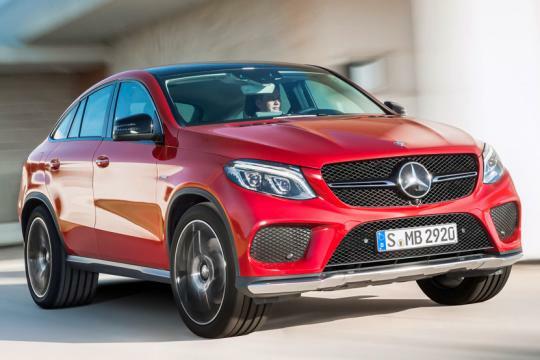 We know about the 450 AMG, but it's not clear whether there will be a GLE 400 or non-AMG 450, or if Mercedes will move it down market and offer a GLE 350 to compete with the X6's xDrive35i. There's also no mention of when or where the new model will debut, although previous reports point to the 2015 Detroit Auto Show. small body with big pair of shoes, like hotwheels.